With competition rising in the food and grocery segment, prominent hypermarkets are fighting it out to stay ahead in the rat race. Food and grocery is the second-largest segment of the retail industry and with the Indian food retail growing at the rate of 30 per cent, it is going to be the major driving force for the industry. A few factors that are contributing to revolutionising food retailing in India include changing lifestyles and tastes, growing need for convenience, increasing disposable income, increasing number of working women, change in consumption patterns, higher aspirations among youth, impact of western lifestyle and, not to forget, the plastic revolution, which involves increased use of credit cards and debit cards. According to “Technopak Analysis: Emerging Trends in Indian Retail and Consumer: 2011”, the food and grocery market in India was estimated at $325 billion in 2011 (69 per cent of the overall retail) and is expected to grow to $425 billion by 2016 (63 per cent of the overall retail) at a CAGR of 5.5 per cent. The organised food and grocery retail market in India was estimated at $9 billion in 2011 and is expected to grow to $34 billion by 2016 at a CAGR of 30 per cent. For Safal, the main market is Delhi-NCR, which contributes the maximum in terms of revenue and geographical footprint. Of the total produce of fresh fruits and vegetables, the Delhi and Bengaluru markets together constitute almost 80 per cent, while the Delhi-NCR market alone constitutes 40 per cent of the total market share. In Bengaluru, the share is comparatively less, with contribution to only 10 per cent of the total fresh produce. The company engages in various promotional activities to boost sales and ensure customer loyalty. Pradipta Sahoo, Business Head – Horticulture, Mother Dairy Fruit & Vegetable Pvt Ltd, says, “The promotional and related activities are mostly carried out on weekends, happening on the 1st-7th of every month. We also have the ‘Daam Dhadaam’ campaign, wherein Mother Dairy lowers the price of certain vegetables.” ‘Daam Dhadaam’ is a promotional campaign that happens at Mother Dairy’s Safal, wherein the bulk produce from the farmer is sold at almost the cost price, amounting to a ‘break even’ situation. out that Safal’s idea of marketing and reaching out to its valued customers involves adhering to the rule of “taaza, sasta, turant”. Spencer’s is one of the first differentiated retailers, which provides its shoppers with fine products and a fine experience at an affordable price, contributing to about 6 per cent share of the organised self service formats in India. “About 20 per cent of our products in food and grocery are on promotion every month. We also have a loyalty programme for our frequent shoppers,” says Mohit Kampani, Chief – Operations & Merchandising, Spencers Retail Ltd.
Talking about VM, Kampani says VM in food is a relatively new concept and is definitely a key tool for increasing consumption. “We have a dedicated team, which works all through the year on the VM programmes in our stores,” Kampani adds. Better known as a “more than a neighbourhood convenient store” from the house of Reliance Retail, Reliance Fresh not only offers the freshest of fruits, vegetables, grocery and dairy products, but also a vast variety of FMCG products and other household products of daily use. With its first store launch in November 2006, Reliance Fresh caters to all the income groups and offers products tailored according to the consumer profile in the area in which they are present. To provide an overall pleasant experience to the consumer, Reliance Retail invests in the best-in-class development programmes for build the capability of employees and ensuring a ‘delightful place to work’. Also, Reliance Retail follows a rewards strategy that ensures fair rewards to the employees, thus creating a centre of excellence for ensuring a steady supply of talent. Reliance Retail Ltd is now focusing on going the hypermarket way for growth. A unit of the $28 billion (around Rs 1.43 trillion) Aditya Birla Group, Aditya Birla Retail Ltd, has recently shut its small-store food and groceries business – More – and exited from Mumbai as it embarks on a major restructuring after five years of losses. According to sources, the retailer has shut about 50 outlets across India and plans to focus only on the bigger stores. The More brand operates two categories of stores – supermarket, which is a small-store format such as the neighbourhood grocery store, and hypermarket. Safal: Produce direct from the farmer – safer, fresher and healthier. Spencer’s Retail Ltd: Many firsts to its name, such as gourmet foods SIS, live bakery, destination liquor stores, tobacconists to name a few. 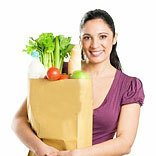 Reliance Fresh: Freshness of products, friendly customer service, store cleanliness and competitive pricing. Safal: About 200 SKUs in Delhi-NCR; 1,000 SKUs in Bengaluru Delhi-380 stores; Bangalore-25 stores. Spencer’s Retail Ltd: Deals with about 20,000 SKUs in a hyper market. Reliance Fresh: More than 575 stores in over 65 cities across 13 states. Spencer's Retail Ltd: About 50% of the sales come from the southern markets followed by east, which contributes to about 22%. Rest is shared between north and west. Spencer's Retail Ltd: Has selected 5 power markets and is expanding rapidly for growth in these markets across south, east and north. Organised retail accounts for less than 8 per cent of the overall Rs 45,000 crore retail industry of India. In food and grocery retail, the largest segment within organised retail – the small-store retail format, which is similar to the mom-and-pop stores of traditional retail – has seen its total share decline as retailers like Subhiksha Trading Services Ltd and Spinach, run by Wadhawan Food Retail Pvt Ltd, shut stores following the financial crisis in 2009. Stocking too much merchandise and having frequent management changes are some reasons that add complexities to the business. High rents and rising debt have also affected all large organised retailers in India. Moreover, other contributing factors, like the rising food prices, have driven away consumers from this format.